by Bruce Greenwald et al. 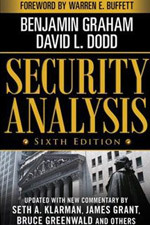 “…Built on the works of Benjamin Graham, the father of security analysis, value investing is based on the premise that the underlying value of a financial security is measurable and stable, even though the market price fluctuates widely. 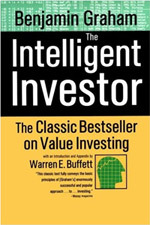 The core of value investing is to buy securities when their market prices are significantly below their intrinsic values. 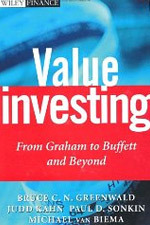 Graham called the gap between price and value the “margin of safety”. A large margin of safety both increases the potential return and reduces the risk of loss.